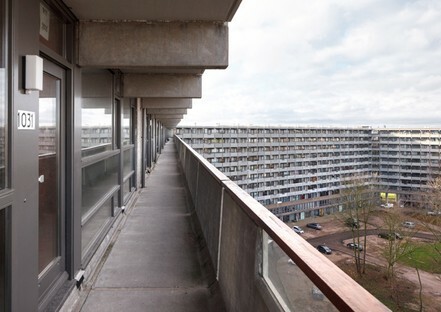 The themes of urban renewal and social housing are part of the European Union award for contemporary architecture. The winning designs of the Mies Van der Rohe Award 2017 and special mention for emerging architects deal with these issues by offering interesting social and architectural solutions. On 12th May the European Commission and the Mies van der Rohe Foundation announced the winners of the 2017 edition of the European Union award for contemporary architecture. 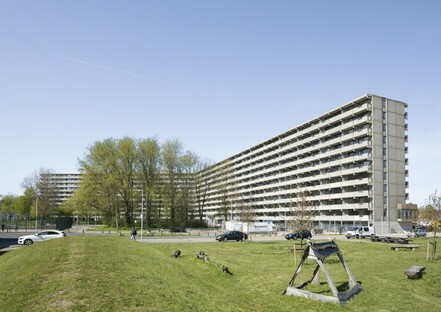 The Mies Van der Rohe Award 2017 was given to a project to renovate the deFlat Kleiburg housing complex, developed by NL Architects and XVW architectuur, in Amsterdam. This is another prestigious award for the NL Architects studio, which in 2005 won the special mention for emerging architects with their BasketBar project in Utrecht. 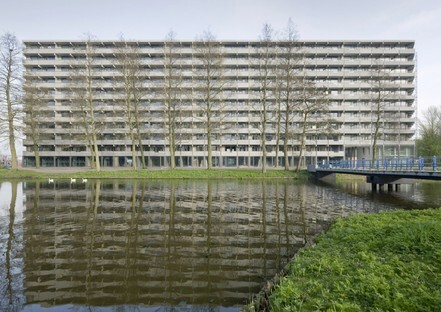 deFlat is the name of the renovated Kleiburg apartment block, one of the largest in Holland and one of the last original buildings of the Bijlmermeer, the 1960s plan for urban expansion in South-East Amsterdam. 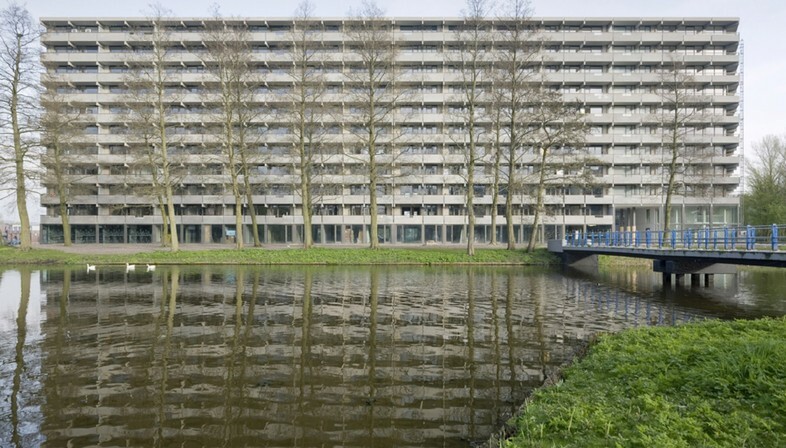 The project by NL Architects and XVW architectuur has restored dignity to this building with 500 apartments built around a central courtyard, which is 400 metres long and 11 floors high, giving the residents a “Klusflat”, an apartment block in which they will renovate and complete their homes. The award ceremony will take place on 26th May at the Mies van der Rohe Pavilion in Barcelona on the EU Mies Award Day.